Question: I want to set up discounts for a product that has different variants. How do I do that? 2. Choose Volume Discount for the Offer Type. 3. 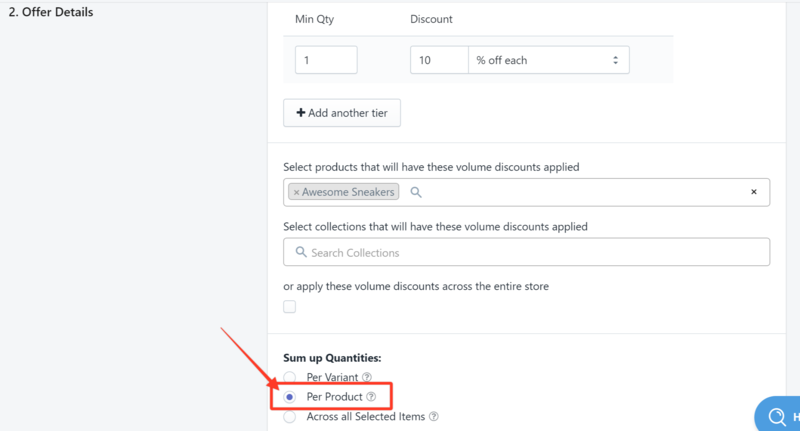 Enter the minimum quantity to be reached, the discount percentage that you want to give out, and the product(s) that you want the discount to apply. In this example, we are giving out 10% discount for a pair of Awesome Sneakers. 4. 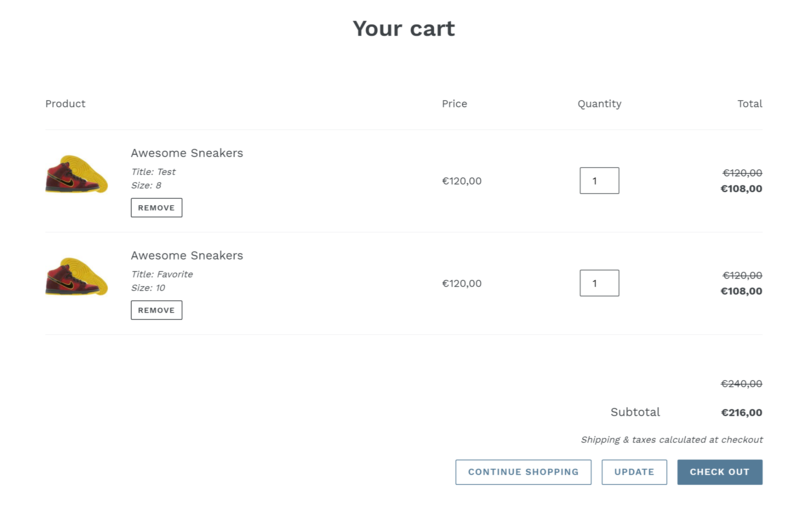 Scroll down to the bottom part of the Offer Details section and choose Per Product under Sum up Quantities. The discount you have set will now apply to all variants of the same product you specify.